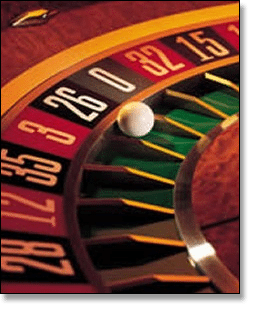 Gambling habits of humans - Why do people gamble? It’s a well-established fact legal gambling games all hold odds tilted in favour of the house, thus creating high-risk, low-reward situations in the long run. Hence, many people whom try to validate gambling do so by claiming the practice is not about winning money, but all about the entertainment factor involved. The only problem with this remark is if we take away the money element of gambling, we largely take away the entertainment element, too. This isn’t to suggest playing games without monetary rewards isn’t enjoyable; that would be a baseless claim considering all the board, card and other games ever created. However, we speak of gambling, which specifically denotes playing games of chance (some with part skill) for money. With the word’s origins derived from the early 18th century and from the now obsolete term ‘gamel’ (meaning play games), it is correct to say there is much more behind this ritual than the potential for financial gains, but to suggest it has nothing to do with it at all is illogical. Rooted in the hope of increasing our assets, these reasons as to why we gamble are both rational and irrational. Michael B. Walker and D. Phil conducted a study on the practice of gambling, published in the Journal of Gambling Studies Volume 8 in 1992, which concluded people can be illogical in their pursuit of money via gambling, but further to that – people gamble for other reasons than making money. Almost all bets within a casino are paid out at slightly less odds than what their true winning odds are, creating a scenario where the house always wins; so here lies the irrational aspect of gambling – our constant desire to try and beat the house when the odds are against us. When we know for a fact if we keep playing long enough losing is inevitable. But the hope of scoring that big win, risking our own assets to get it, is just too much to ignore for many of us. Sridhar Narayanan; an assistant professor of marketing at the Stanford Graduate School of Business, and Puneet Manchuanda; an associate professor of marketing at the University of Michigan’s Ross School of Business, carried out another, more recent, study which was consistent with the prospect theory – a theory formulated in 1979 by Daniel Kahneman and Amos Tversky. The Prospect theory is a behavioural economic theory which describes how people choose between options involving risk, where the probabilities of the outcome of those options are already confirmed (such as in gambling). The theory explains: people make decisions by first evaluating losses and gains, as opposed to assigning value to the final outcome, and then base their decisions on the perceived gains rather than perceived losses. So if a person was offered two choices of equal value – one which was expressed in perceived gains and the other in perceived losses, that person would choose the first. This is where our desire to gamble stems from – the potential gains. Or a 50% shot at winning $2500. Or a 50/50 shot at losing nothing or losing $2500. The majority chose the 50/50 risk; and Kahneman and Tversky described this as risk-seeking behaviour. This mind-set gives us valuable insight in to why we gamble. A group of students were told to assume they had won $30 and were now being offered a 50% chance of winning or losing another nine dollars. Seventy per cent of those students chose the 50% chance to increase their lot by $9. But when another group of students were asked to choose between taking a guaranteed $30 or taking a coin-flip in which they would receive either $21 or $39, only 43% chose the coin toss. We base our decisions to gamble on the perceived gains, rather than the perceived losses, even if we already know the probabilities. We behave in a way where we seek risks for potential gains, but at the same time, are more averse to losses than happy with wins. It is confusing, to say the least. It is human nature to feel excited when we take risks. When we gamble, the sense of anticipation of winning creates this excitement – a natural high, if you will. And winning releasing endorphins which make us feel good. On top of this, the sounds of the casino and our emotions all stimulate our senses and make the experience all the more enjoyable. So the next time you gamble, know that what you are doing can most certainly be construed as irrational from an economical point of view – and knowing this can often make the experience more fun. While the odds may be against us, the allure of the casino and the natural high we gain from gambling are reasons which surpass mathematical rationality. If you’re looking for an online casino site where you can sample games for free in practice mode to see what all the fuss is about, Raging Bull Casino gets our vote as the top-rated casino site for players from United States, with hundreds of instant-play games available with no downloads necessary.